Most people who have ever done a construction project without hiring professional home designers to help in the project will attest that they performed poorly at it. Building a home is perhaps the greatest financial venture anyone will undertake in their lifetime. Yet, most people do not understand how difficult the processes involved are until they find themselves entangled in a series of requirements and restrictions; building codes, restrictive covenants, design options, contractor choices, zoning ordinances and vendor choices. All this hustle can be avoided by simply getting a professional home designer to do the job for you. 1. Expertise and innovative design ideas. Basically, the function of a home designer is to understand your home design needs, offer advice and guidance on suitable plans for your home and come up with a professional design that integrates different design options including your own design views. Home design specialists have years of experience in the field apart from the quality training they undergo to make them the best in the area. Additionally, they have a variety of tools, equipment and other resources that aid them to come up with great and innovative designs for your home. Doing the job for yourself will involve hours of research and potential delays, including limited design ideas. So much of your project will be communicated in 2D drawings. It will be difficult for you to interpret the plans or sections to be able to implement and turn them into functional space. Home design specialists will eliminate any misinterpretations and confusion that may have arisen to ensure that different building elements are correctly fixed together and all details in the plan are represented in the constructed structure. Additionally, they are able to oversee that no critical features are overlooked. They ensure that the finished structure is balanced in design, pattern, symmetry and even functionality. 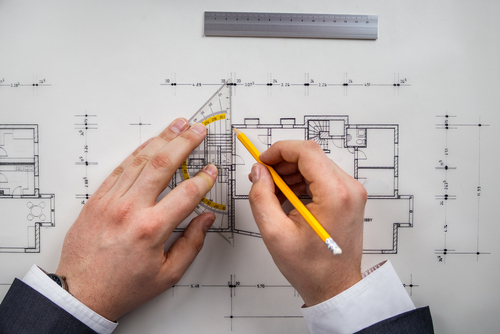 When coming up with a design plan, specialists will recommend designs that cater for future expansion needs. As your family grows, you will find that you need more space for the dining, living room or even an extra room to accommodate new members of the family. Home design specialists will offer timeless storage solutions as well as repurposing space designs that are meant to easily cater for future needs. For instance, your designer may recommend an open family room area or an extended kitchen and dining area, which will enable for using the extra spaces to suit present family needs. There are many details to consider when coming up with a home design. Home design specialists can save you a lot of time by doing most of the time consuming design research, conformity and legal requirements issues involved. Skilled home design specialists have a lot of information and technology at their disposal. They can easily interpret different designs and examine whether they can be implemented structurally. They can conform to state codes and easily get the task done. This enables them obtain permits with minimum revisions. Revisions may take up a lot of time and delay the construction. Getting a home design specialist to do the job will ensure that the project conforms to all relevant codes and requirements so that it progresses smoothly. This will save you a great deal of time trying to meet any legal requirements involved in the building process. In the long run, Money says it all. Home design specialist will help you get the best home design at a fair price. Obviously, after being in the industry for years, they will have great connections that are sure to save you a lot of money in the project. They may also have budget-friendly partnerships with contractors, construction and material manufacturing companies. Other professionals working on residential projects will also be available. From construction engineers and painters to interior design specialists, your home designer will most probably have a good network of such contractors who can fit into your budget and personal requirements. This will not only ensure that you have value for your money, but also enhance the overall value of your home.